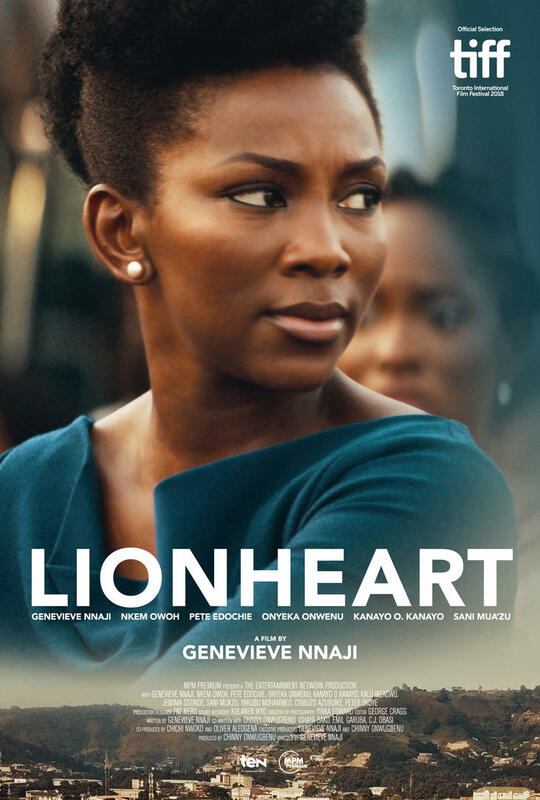 Lionheart, the Netflix movie, despite starring top Nollywood actress, Genevieve Nnaji, also the film’s director, is miles away from your typical Nollywood movie. Our editor Joy Joses reflects on the changing Nigeria movie industry and shares her thoughts on the comedy-drama. Despite being the world’s second biggest movie industry (in terms of output), Nollywood (Nigeria’s movie industry) has a somewhat arbitrary reputation with fans loving the over the top and often predictable storylines and critics disliking them for those very same reasons. In recent years, there has been a marked shift among some filmmakers toward higher standards and better quality production values and storylines. An excellent example of this are the international box office hits, The Wedding Party 1 and 2, the highest grossing Nigerian movies of all time, produced by Nigerian movie mogul Mo Abudu’s EbonyLife. This trend toward higher production values has sparked interest from Netflix, who have acquired an increasing number of quality Nollywood films on their roster such as the afore-mentioned The Wedding Party as well as Fifty and October 1, among many others, following initial launches on local cinema. However, Lionheart holds the distinction of being Netflix’s first original film from Nigeria, debuting on the streaming giant in January 2019. The lady behind the movie is Genevieve Nnaji, a veteran actress with more than 80 Nollywood films under her belt. The much-loved actress was once referred to as the Julia Roberts of Africa by none other than Oprah Winfrey and it is only fitting that in the current landscape of increasing recognition of female contribution in movie industries that Netflix’s first acquisition in Nigeria should be by a female director. Genevieve’s Lionheart is an incredibly simple story, well told. A light-hearted, comedy drama featuring a stellar cast of much-loved Nigerian actors, including the legendary Pete Edochie and Onyeka Onwenu playing Genevieve’s characters’ (Adaeze) parents. Nkem Owoh (Osuofia in London) brought the humour and Afrobeats rapper Phyno repped as her younger brother. There was even a brief appearance from one half of Afrobeat superstars P-Square’s Peter Okoye. So, what is it all about? The movie follows the story of Adaeze (Genevieve), a beautiful, ambitious daughter of a transportation magnate. She realises that running a company can be challenging, especially if you are a female in a male-dominated industry. Looking to prove her worth, Adaeze steps up to the challenge when her father, Chief Ernest Obiagu (Pete Edochie) is forced to take a step back due to health issues. Ironically, he appoints his eccentric brother, Godswill (Nkem Owoh), instead to run the company with his daughter. Adaeze voices what we are all thinking and questions whether this would have happened if she had been a man, however this view is quickly quashed. Complications arise when they discover that the family business is in dire financial straits and both Adaeze and Godswill try to save the company in their own way to crazy and often hilarious results. This is a wholesome film with more than a few dollops of feminist tendencies to spice things up. The disciplined and focused Adaeze still manages to play the doting and dutiful daughter, so not much here to offend the patriarchal tendencies of mainstream Nigerian audiences. However, it’s great to see her stand toe to toe with her male, and often older counterparts in the business world and still hold her own. It was refreshing that the story did not centre around a love interest, that her parents had a loving, trusting relationship and her brother was free to pursue his ambition of being a musician. All of these and the omission of other Nollywood staple storylines helped to make this an enjoyable watch. On reflection, this film is less a Nollywood film than a film based in Nigeria. The beautifully authentic pan-shots of Enugu (where the film was set in Nigeria) and the rich dialogue peppered with the Igbo language and Igbo phrases will leave audiences smiling and heart-warm. Genevieve has certainly set the bar high for this, her first outing as a director, and we can’t wait to see what she comes up with next.